A life long Easton resident, Jeff Borofsky, Head Chef and Owner of Skinny Pines, LLC, has a wealth of experience in the kitchen, and is one of Connecticut's most sought after farm to table wood fired caterers. His passion for use of local ingredients has allowed him to partner with farms and farmers markets throughout Connecticut and New York. Jeff grew up with a strong interest in cooking, and began his culinary career at the Connecticut Culinary Institute, one of Connecticut's top culinary schools. He went on to manage a corporate kitchen in Southington, CT before moving back to his hometown of Easton. In 2010, Jeff chose to follow his passion for locally inspired, seasonal catering and start Skinny Pines, LLC. 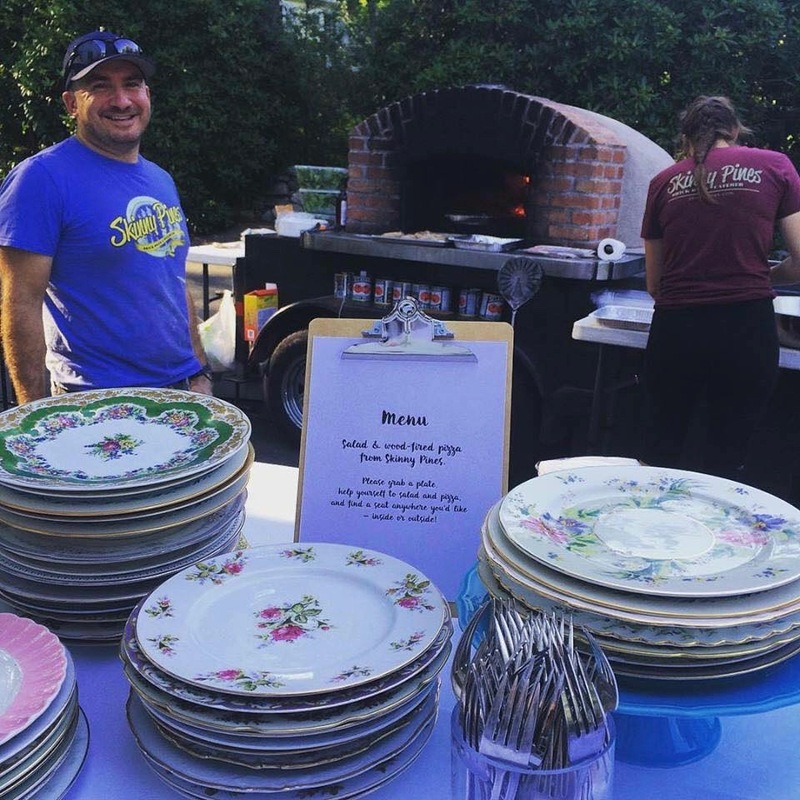 Since then, he has been bringing his unique, wood fired oven to both family and business events, and has been a popular vendor at local farmer's markets. He has also been an active mentor to other wood fired caterers throughout the country, hosting networking events and participating in international events that include the mobile oven community.